What You Need To Know: Jose Quintana had his best start in some time, but it went for naught as the Pennsylvania fog continued to linger over the Cubs, who yet again had just a solo homer to show for the offensive efforts. But I guess if you’ve been to Pennsylvania, you understand. Justin Wilson and Jorge De La Rosa held it down, by some miracle, but Steve Cishek coughed up a homer to Asdrubal Cabrera and that’s that. Baseball gonna baseball on ya, when Wilson and De La Rosa are the clean innings and Cishek is not. Next Level: You’ll take that from Quintana every time, who changed up the approach a bit by throwing nearly half curveballs. 33 of his 88 pitches were curves, and he probably could have given the Cubs another inning but no worries there. He led off the seventh. and Maddon chose to pinch-hit to try and get a run. 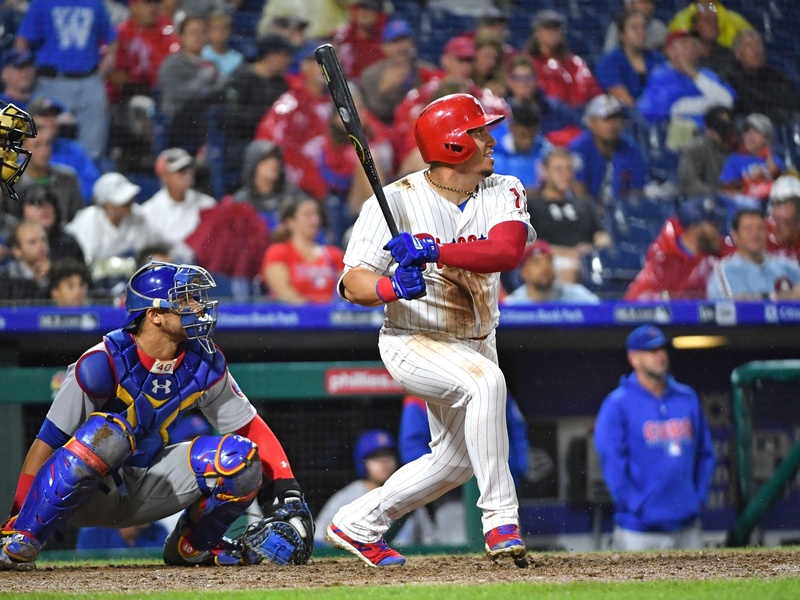 Q was dotting both sides of the plate, which is a good sign as he’s struggled all season to move away from his inside-to-righties tendencies and hit the outside corner as well. Tonight he did, though Joe West’s floating zone helped with that some. Q hasn’t thrown that many curves in a game all season, so we’ll see if this is a new thing. – Hell is watching Joe West. There were several times tonight where pitches that were strikes early in the game were not later and vice versa. I couldn’t even list them all here. Why are we forced to do this? Just give him a guitar and send him out to the pasture or something. – The Cubs had the ball in the red zone a lot tonight but didn’t get over the goal line. They had the bases loaded with one out in the third but Rizzo struck out and Zobrist grounded out. They stranded two runners a couple other times. Tommy La Stella ran them out of an inning when he forgot how many outs there were on a Baez line-out with one away. Just one of those nights…that seem to happen in Pennsylvania. – Clearly there were some arms not available tonight with De La Rosa going more than an inning. That doesn’t matter starting tomorrow when we get into Silly Baseball with the expanded rosters.